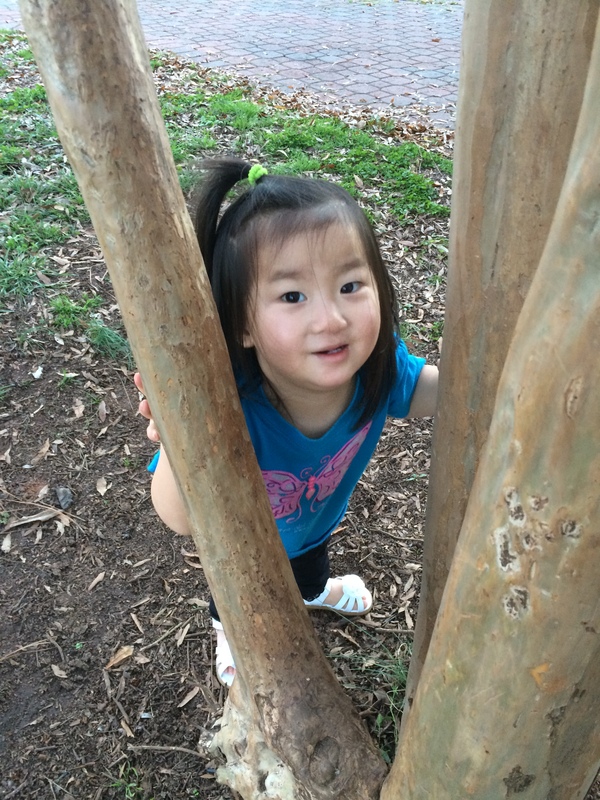 Due to her Apraxia condition, it has been challenging for Maggie to learn to say her name. We have been working on it for several months. Her name has two vowels, two consonants, and two syllables, so we have been building step by step her ability to name herself. We started with teaching her a sign for her name, which she picked up and started using right away. It has greatly expanded her ability to communicate, knowing how to sign her own name. All of a sudden she could tell us what MAGGIE wanted, what MAGGIE felt, what had been done to MAGGIE by her sister, and that mommy should hold MAGGIE. Next we started targeting the word Maggie through her Gemiini discreet video modeling program. I will have to write a whole post about Gemiini, but suffice it to say here that it is a discreet video modeling program based on the new, breakthrough science concept that seeing a word pronounced builds the same neural pathways as saying the word yourself. It has mainly been tested in autistic populations, but some believe it is effective for Apraxia as well. An average child needs to hear a word said 40 to 70 times before they will say the word. Kids with apraxia need to hear it hundreds of times. This is not esaily done in day to day conversation. Geminii discreet video modeling gives us the ability to target specific words and load them into Maggie’s brain hundreds of times through brief daily sessions. Gemiini has thousands and thousands of recorded videos which focus directly on the mouth of the speaker, and I can build custom videos for Maggie using the exact sounds and words we are working on in speech therapy. Some experts don’t believe Gemiini works with the Apraxia population–it is controversial, and not enough studies have been done on kids that ONLY have Apraxia without accompanying conditions like Autism or Downs Syndrome. All I can say is that we have seen results using Gemiini from the very first session Maggie watched, and we have consistently seen results when we target our Gemiini videos to enhance and support our current speech goals and practices. Here is a video of the very first time she tried to say her name, back in July 2015, after two days of viewing “Maggie” Gemiini videos. 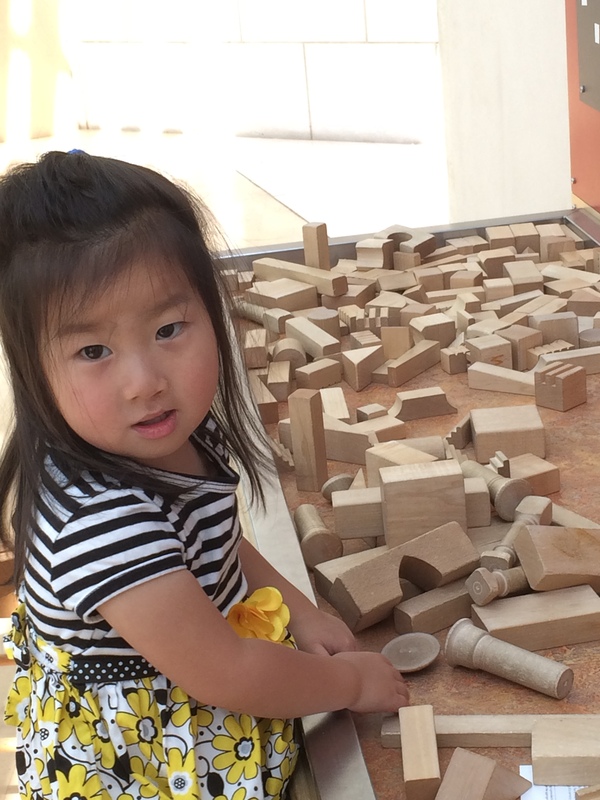 More practice saying Maggie, more weeks of Gemiini videos, practicing Maggie one syllable at a time, and eventually we had another breakthrough, where Maggie was finally able to say her name correctly when prompted, although inconsistently (videos from November 30, 2015). This was also the first (and to date only) time she ever attempted a sentence–if you listen very carefully, you can hear that she is trying to say “Maggie is my name”! A few days later she was getting a little faster and a little less choppy (December 8, 2015). Inconsistency is one hallmark of Apraxia, however, as this video taken December 30, 2015 shows. We are still working on saying “Maggie”. She is capable of saying it but has not yet learned it to the point of motor memory. That means that when she refers to herself, or when she is asked to say “Maggie”, she still has to work very hard to do so and many times she is not able to correctly reproduce the sounds. She will need to keep practicing and practicing until it becomes natural, just as you and I would need to keep practicing to learn to play a song perfectly on the piano without really thinking about it. That is the nature of Apraxia. You will notice in this video that when trying to say Maggie she says “mommy” a couple of times. We had been working on learning to say “mommy” right before we started working on Maggie, and she had just finally learned mommy. So when trying to say “Maggie”, she accidentally says the recently practiced “mommy”. We have been working on saying “mommy” for months. Maggie has been able to say “mama” for a long time, but a few months ago she stopped saying mama and started saying “mah-eee”. I feel that was progress for her because she was using both vowel sounds from the word mommy but she was not able to add the middle “m” sound (even though she could when saying mama) because the combination of two different vowels and two syllables was too much to concentrate on. That second m sound was a bridge too far. In October I spent several nights in the hospital, and the day I got home Maggie said mommy perfectly couple of times. I am sure that she heard the word mommy a lot while I was gone. After that day, she was not able to repeat the word mommy, no matter how hard she tried. One hallmark of apraxia is inconsistency. The child might say it once, but cannot remember from one day to the next how she did it, until she has learned that word to the point of muscle memory. We started having Maggie watch a Gemiini video modeling loop of “mommy”. Here is a video from December 29th. I often work with her one syllable at a time. “Say mah, Say me, Say Mommy”. This has been a great stepping stone for multi-syllable words. We made a breakthrough on 12/30/15 when she was finally able to say mommy on command more than once. 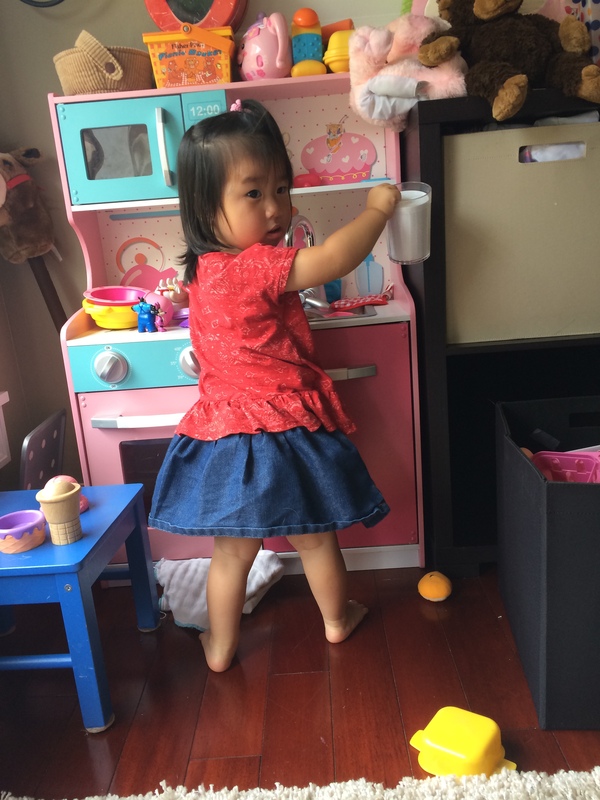 Although she struggled the first few times, saying “mah-eee” as she has been for months, this was a breakthrough for her, as she was finally able to imitate the word Mommy on command multiple times. I knew we could move the ball further downfield if we struck while the iron was hot, so later that night we worked on it again when the promise of chocolate chips led her to repeat it several more times. This is a good representation of one therapy method I am using with her–answering but correcting her normal day-to-day attempts at saying “mommy”, using video modeling to give a lot of opportunity to hear and see the word said hundreds of times, impromptu practice sessions like the one posted above (walking around and playing at the same time), targeted practice while seated with a reward, aiming for multiple correct repetitions. 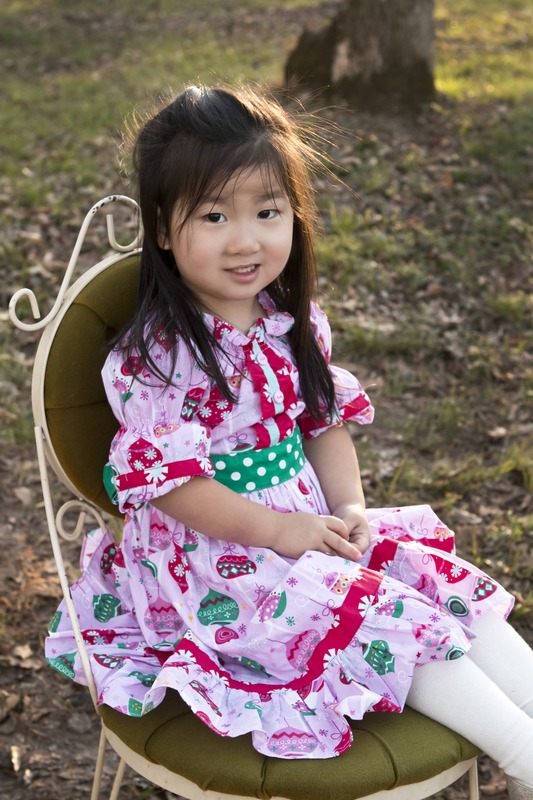 The words we are working on are specifically selected–we are prioritizing words that she needs and wants to say, which utilize consonants and vowels that she can say in isolation. Mommy is a good example as she calls me repeatedly many times a day (giving us many natural opportunities to practice), and she can say “m”, short “o” and “y” sounds in isolation. The trick is learning to string them together into a two syllable, two consonant, two vowel word. Even though she was able to say mommy several times, whenever she called me that night she reverted back to her old way. I would respond to her, but gently reminded her of the proper pronunciation. We have been doing it that way for months, where I respond when she calls me but remind her of the correct pronunciation and often encourage her to try again. This time she was finally able to get it and it stuck. This morning (New Year’s Day), she has been calling me “Mommy” consistently with no prompting. She woke up this morning calling “Mommy! Mommy!” from her bed. She had slept all night, and woke up saying “mommy” correctly with no prompting, all on her own. I think she’s finally got it!!! We have been working consistently on learning to say “mommy” since she first said it in October, making very slow baby steps of progress along the way. After saying “mommy” a few times one night in October Maggie was not able to say the word “mommy” correctly again until the last week in December. It is music to my ears and a wonderful start to 2016!! We got Maggie’s passport taken care of earlier this spring so that we could take her on a trip to Mexico this summer. She loved swimming in the pool more than anything. She enjoyed playing in the sand but didn’t care for the ocean. She loved the food, especially things like papaya, queso cheese, french fries, chocolate milk, guacamole, and tomato soup. 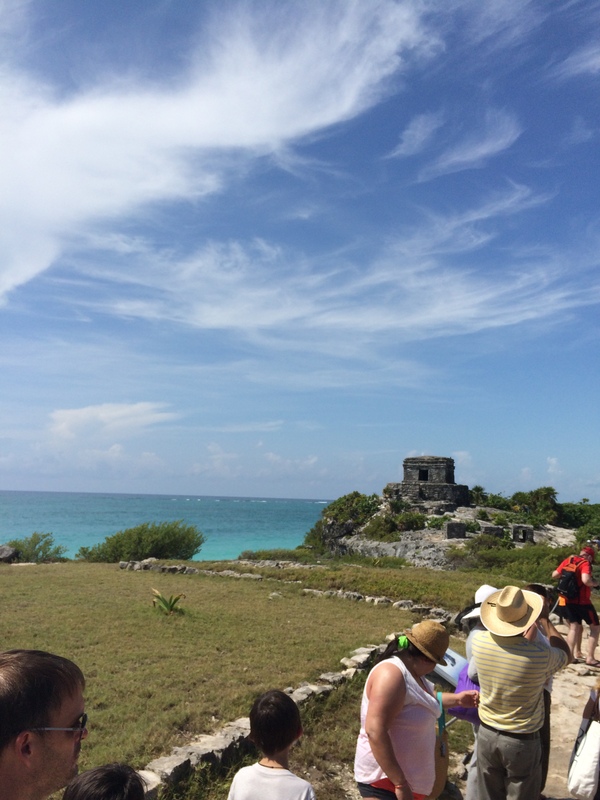 I visited the ruins at Tulum. It was hot! 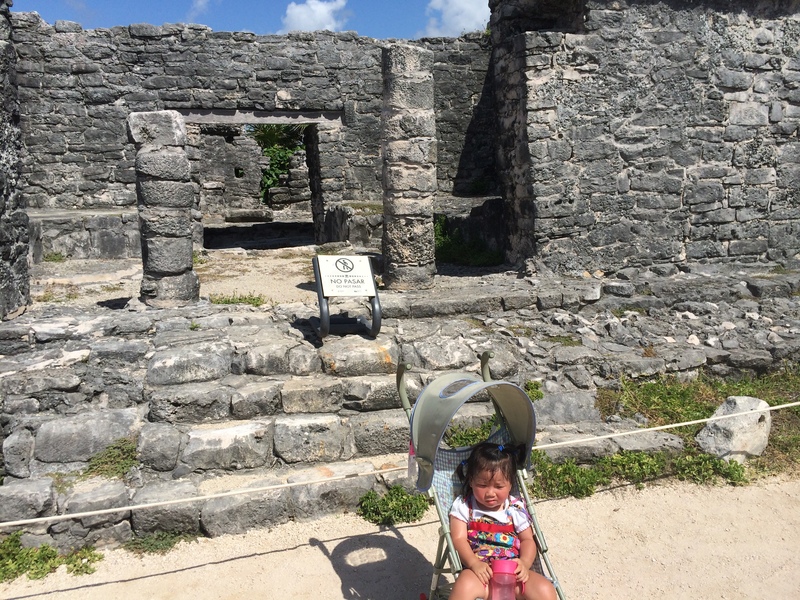 Her least favorite experience was visiting the Mayan ruins at Tulum. Maggie doesn’t do well in the heat, and that may have been the hottest day any of us have ever experienced. She gets super red in the face any time she is hot, and I ended up having to take the girls back to the air conditioned shops at the entrance to the ruins as neither of them could handle finishing the tour. Hopefully someday they will be glad to say they were there. I got terribly, terribly sick while we were in Mexico. It costs me two days of our vacation and I was very weak afterward. I ended up needing to get a shot from the hotel doctor to avoid going to a Mexican ER. 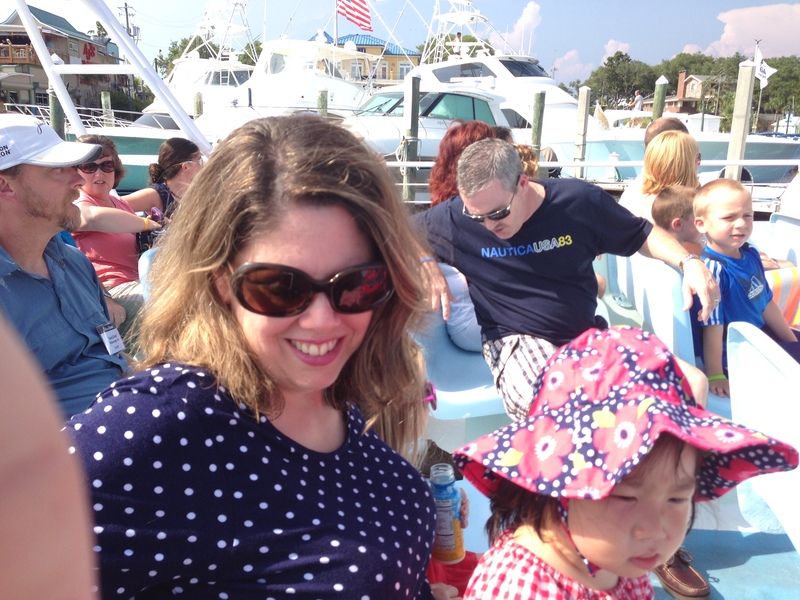 That was a huge disappointment as I really was looking forward to a relaxing vacation with my husband and our little girls–but it didn’t turn out quite as I expected. Thankfully, no one else got sick and I was recovered in time to celebrate my birthday with them in Mexico before flying home. 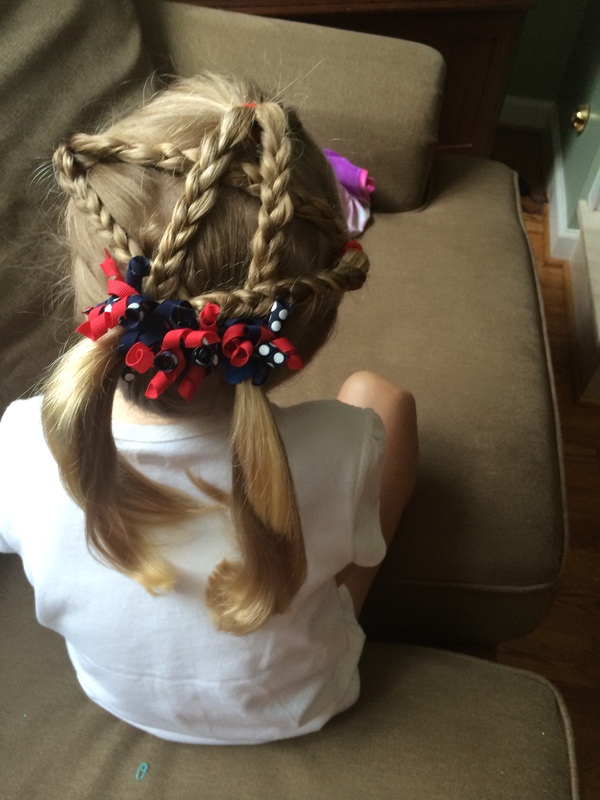 I was super proud of myself for this braid I put in my older daughter’s hair for the fourth! 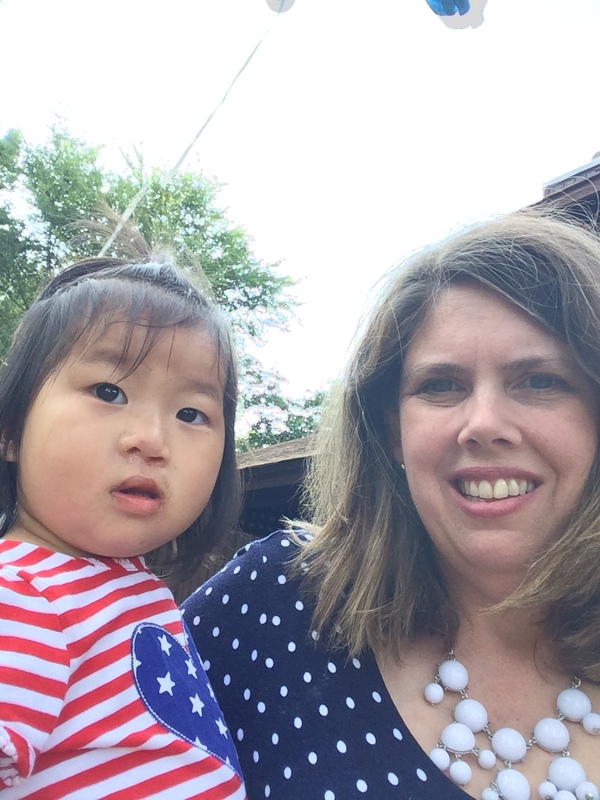 We spent Maggie’s first fourth of July celebrating with family. She enjoyed swimming and fireworks and hanging out with her cousins! 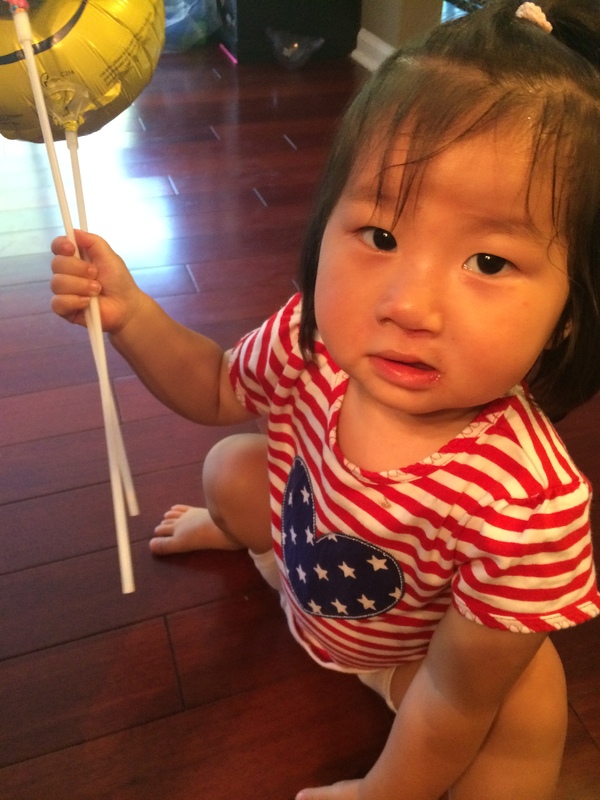 Maggie enjoyed playing with the balloons a lot more than hitting the pinata. 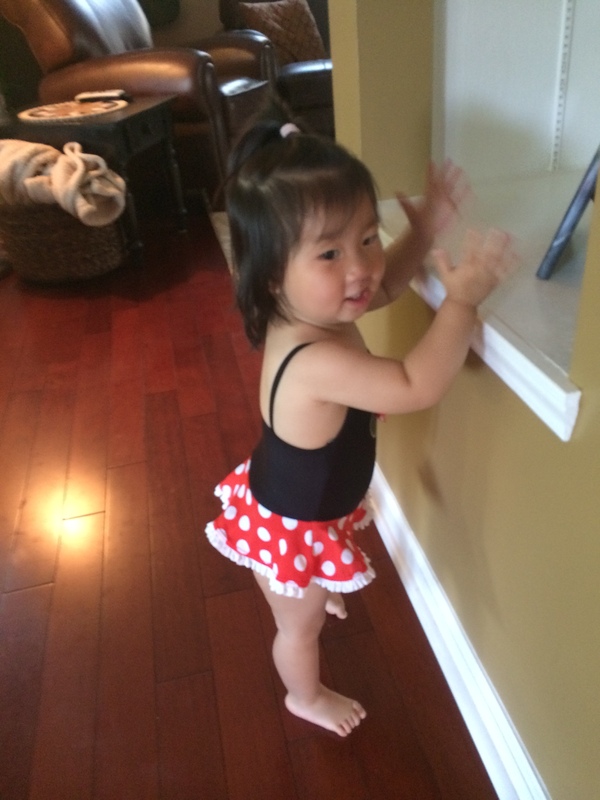 Maggie was too cute in her Minnie Mouse swim suit. She loved jumping off the side of the pool while holding mommy’s hands. She absolutely loves the water! 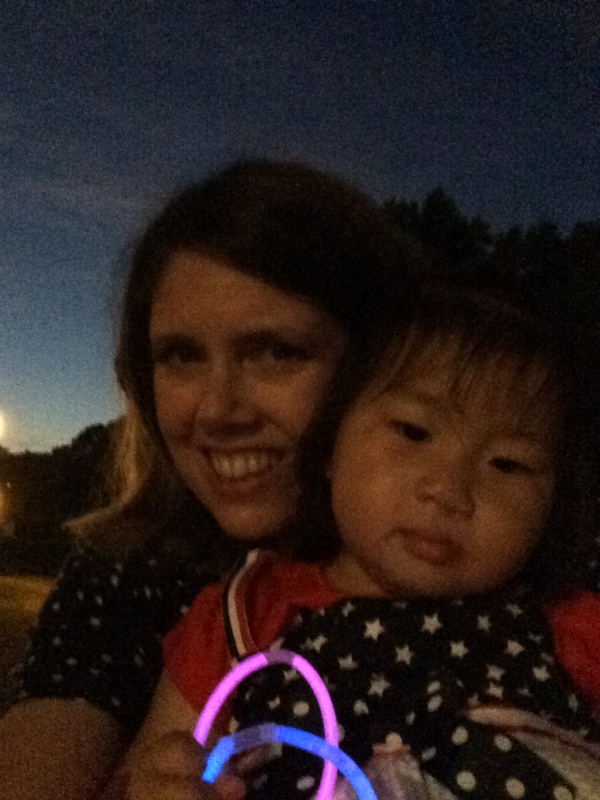 Enjoying the fireworks–she loved them! 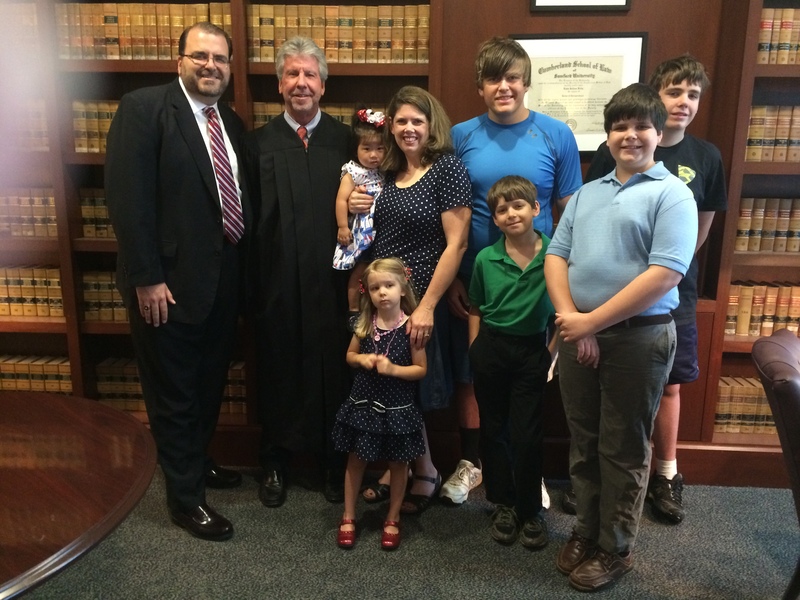 Maggie had her domestication (or “readoption”) hearing on June 24, 2014. She was already a U.S. citizen from the moment we landed on U.S. soil, but this domestication allowed her to get a U.S. birth certificate. It was a quick but special ceremony before the judge and we celebrated afterward by going out to breakfast as a family. Maggie was a true southern girl and enjoyed eating her grits! Dress and hair bow bought almost a year ago for our trip to China but she was so tiny back then that it still fits now! Maggie was well enough 3 weeks post-op for our annual beach trip. Maggie’s recovery went pretty well, all things considered. She did not take a drink for 3 full weeks after palate repair, save the one bottle she drank immediately after surgery. 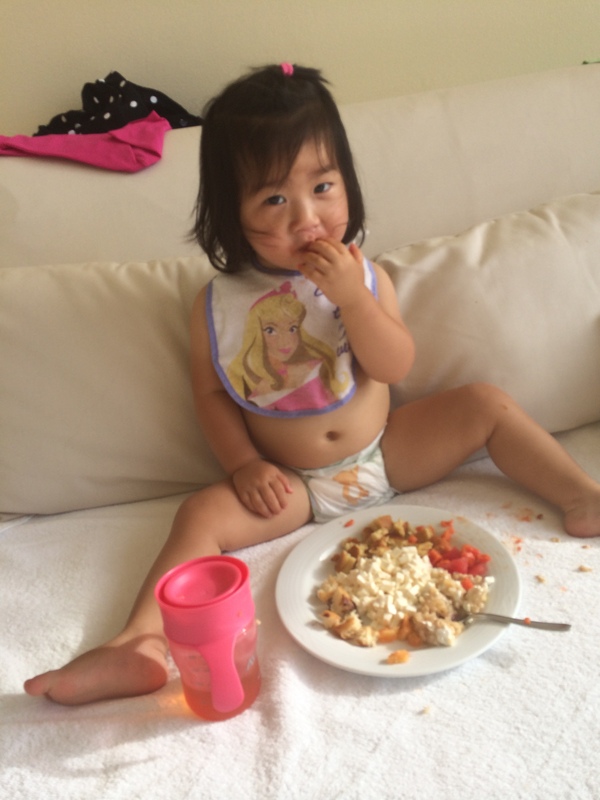 Her surgeon told us she would be fine as long as she was eating pureed foods like applesauce, yogurt, baby food purees, milky mashed potatoes, and the like. She existed on that type of food for 3 full weeks. One day she indicated that she wanted a small sip of water from my glass. The next day she tried another tiny sip from my water, but still refused to drink anything else. It felt like a lot of pressure trying to keep her hydrated, as we had to make sure that we were making up for the amount of liquid she would have normally gotten through her food, which meant feeding her very frequently. We needn’t have worried, though–she was glad to eat all sorts of pureed foods and she did just great and never got dehydrated. Once she started seeming a little bit willing to let liquid pass her lips I went to Dairy Queen and got her an arctic rush. She had never had one before, but she was very interested in it! I added some water to thin it a little and she drank the whole thing straight down in her Avent cup. From then on, drinking because less of a challenge. I won’t say she got right back to normal, but every day got steadily better until about week 4 post-op she was drinking normally. 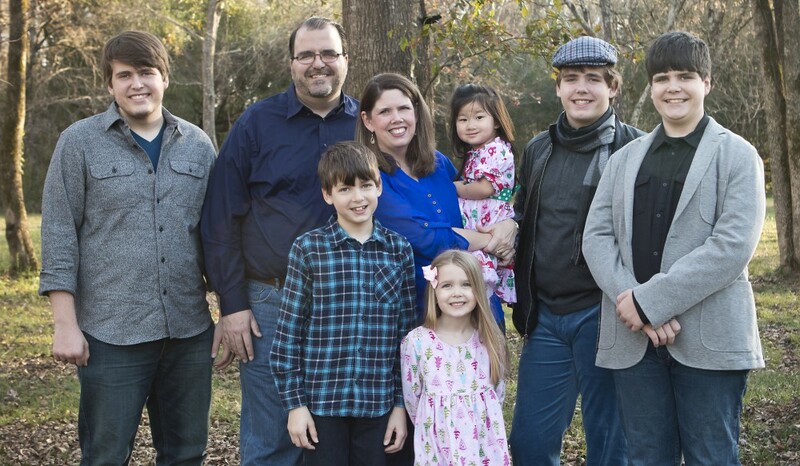 She never would take the bottle again, though–surgery effectively weaned her from that. I was sad to see it go, but with her 2nd birthday rapidly approaching, I guess it was time. She had a Dr. visit three weeks post-op with her surgeon and he said her repair looked great and he did not believe she would develop a fistula. 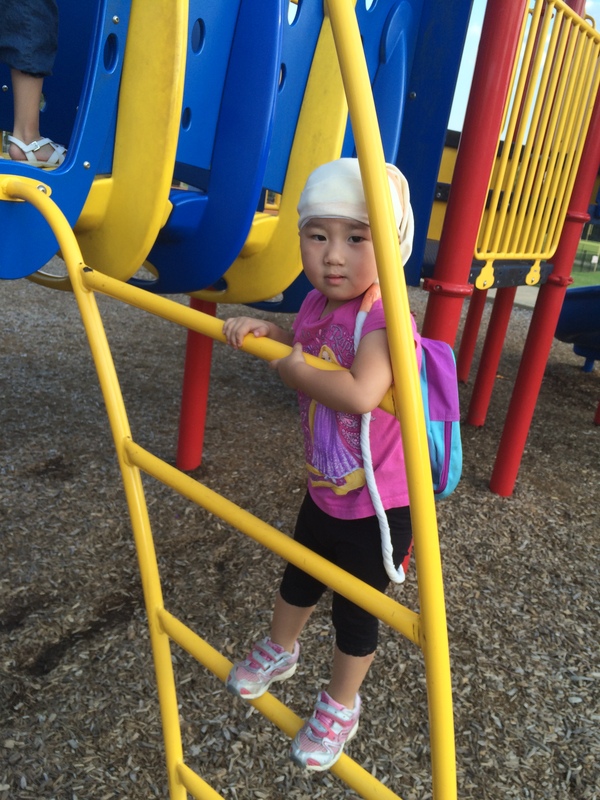 As I am catching up on posts right now, we are 3 1/2 months post-op and she is doing fantastic. She has not developed a fistula and she is finally starting to try and say some words and imitate some sounds. For awhile after surgery some things got worse–she started drooling more than she had previously, and food came out her nose every time she ate. I found out that those things can get worse for a time after surgery as little ones get used to the new feeling of their mouth–but that they would resolve with time. Now, over 3 months post-op, she doesn’t drool at all. 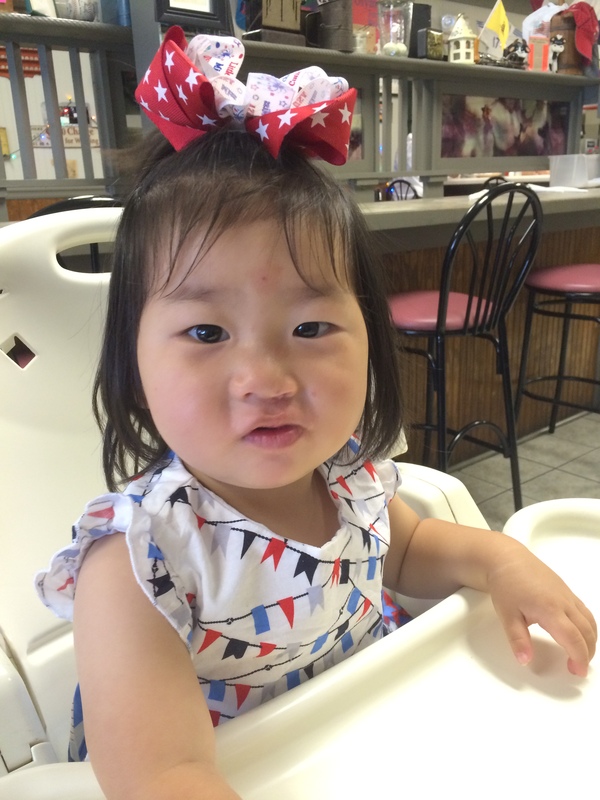 Occasionally she sneezes and food comes out her nose, as her gum-line is still cleft (it will not be repaired until she has her bone graft in elementary school, before her permanent teeth come in). It is not a daily occurrence, however. She is also becoming much more comfortable with letting me brush her teeth, which is great. She will open her mouth now, and she seems to like it. I am using an electric tooth brush for her these days as she prefers that by a mile over the regular kind. This part was much harder. I love the team we use at UAB in Birmingham, but I am not a fan of their anesthesia policies. They will not let parents go back during anesthesia, and they will not let parents see their child until they are done in recovery and ready to meet their parents in their hospital room. We have had other procedures done in Atlanta and they always let me be with our child while they are falling asleep and again before they wake up. I really think this experience was traumatic for Maggie, and we paid for it for about 2 months post-op. Maggie showed so much anxiety after her surgery that we were not able to return to her regular therapies. We had planned to take about 3 weeks off and then go back to speech and physical therapy after her 3 week post-op appointment and our beach vacation. Unfortunately, she showed so much anxiety during therapy that we couldn’t accomplish anything. 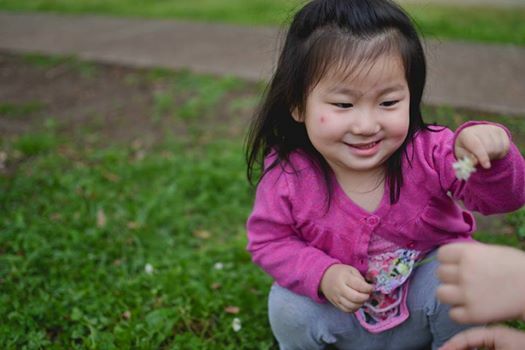 We contacted the International Adoption Clinic about it and they recommended that we take some time off of therapy and allow her to have more time to recover emotionally from her surgery. Her attachment to me became more ambivalent at that time, where she would seem very needy and didn’t want to let me out of her sight, but when she was with me she didn’t relax–she was clingy and fussy. She also started showing jealousy toward her siblings at this time–hitting and pushing them if they tried to sit on my lap and wanting me all to herself. Maggie has always been a pretty easy child, but we have had some sleep issues to contend with. Whenever she is under stress it shows up during her sleep patterns. After going to bed easily and happily for months she began to show a tremendous amount of anxiety at night. This did not happen immediately after surgery–it took about two weeks. Once she started feeling better and no longer needed medicine for pain we began to see signs of night time stress. She didn’t want to be in her room or in her bed, she wanted to stay up until all hours of the night playing until she physically could not stay awake any more, and she was waking up in the middle of the night crying. This was not “normal” for her except in the first couple of months after coming home and during her post-surgery phase after her lip repair. The adoption clinic suggested we start giving her melatonin at night to help her sleep. That was effective almost immediately and she began sleeping peacefully again, going to bed happily at her normal time and sleeping through the night. We were able to resume her therapies after a 2 month break, starting at first with the therapists both coming to our home for awhile before transitioning Maggie to therapy outside the home. She has relaxed again in her attachment toward me, and she is now back to her normal happy self.